There's something truly magical about fireworks on New Year's Eve. The ones we traditionally see in the summer over Lake Tahoe or Donner Lake are fantastic, but when they cascade over the mountain glittering with snow -- it's an incredible sight to see! 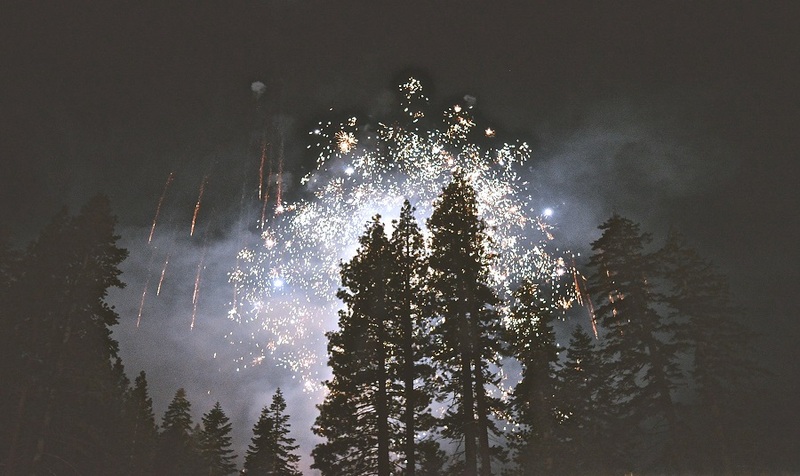 If you missed the New Year's Eve fireworks at Squaw Valley, don't fret, you're in luck! During the 2017 winter season Squaw Valley is setting off Saturday evening fireworks, through March 4th. Gather with friends or loved ones at the Village Plaza, sip complimentary hot cocoa, and watch the fireworks display at 6PM. There is also food and beverage for purchase from 4:30PM-6PM as well so the whole family can cozy up with full bellies while watching the fireworks. And while you're at it, take your time to stroll through the Village at Squaw with its array of boutiques and ski shops, wine bars and new to the Village this winter, Truckee's own Coffeebar! We've been anxiously awaiting its third location in the area -- their delicious espresso even closer to the slopes is just the ticket!